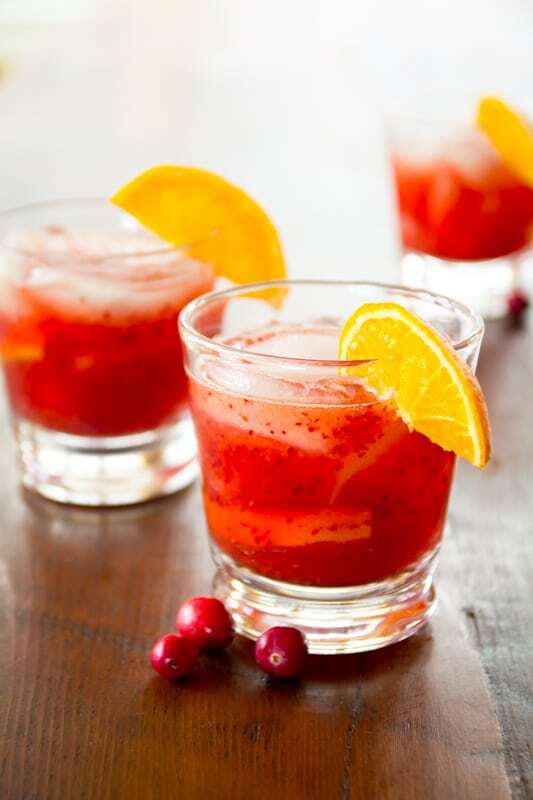 These Cranberry Negroni Cocktails are going to be your next Holiday tradition! They’re made with Tangerines and fresh cranberries! I cannot say that I have a single favorite food, or a favorite tea or one favorite wine. But I do have a favorite cocktail. And that is the Negroni. 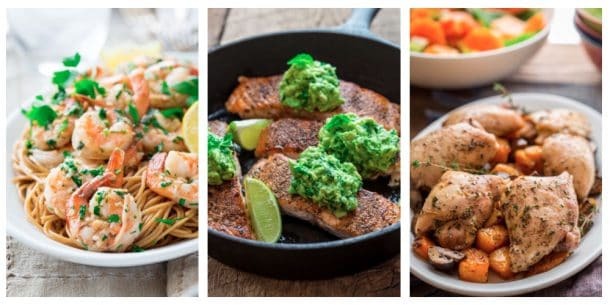 Much to my delight, you’ll find them, and their fancied-up offspring, on the cocktail menus of pretty much any restaurant that even considers itself somewhat current. If you’ve yet to try one, they are a simple cocktail of equal parts sweet vermouth, gin and Campari, served chilled with a slice of orange. Sometimes they’re served straight-up, though in my opinion, they should always be served on ice. The key to the equation is the Campari, an Italian liquor, bright red in color and intensely bitter in flavor. The flavor is sort of like that of an orange peel, but more herbal and complex. It is also sweet, and it makes me gleek a little bit just typing this. My Ma has been a Campari drinker forevs and while I can’t say that I have been a Campari lover as long as that, I can say this, while other budding lushes were stealing sips of their dad’s beers I was stealing sips of my moms’ Campari and soda. 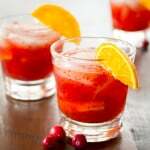 So when I was brainstorming ideas for holiday cocktails to share with you, I didn’t have to think too long. I decided to spice up a traditional Negroni with locally grown cranberries, and some organic tangerines I got at the market this week. Cheers! A holiday Negroni cocktail with cranberries, Campari, fresh tangerine juice, gin and sweet vermouth. Cut one tangerine in half crosswise, juice and strain. 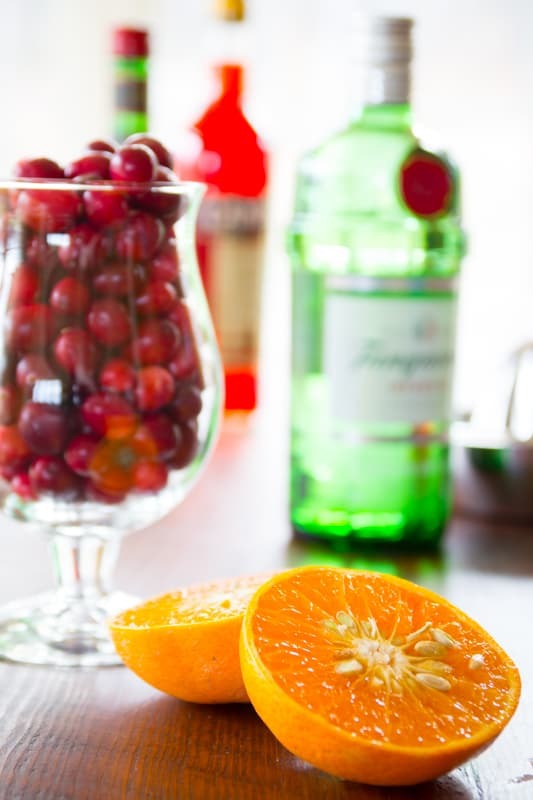 Cut the remaining tangerine into rounds or wedges for garnish. Fill glasses with ice. Puree cranberries and the tangerine juice until the cranberries are just tiny bits. 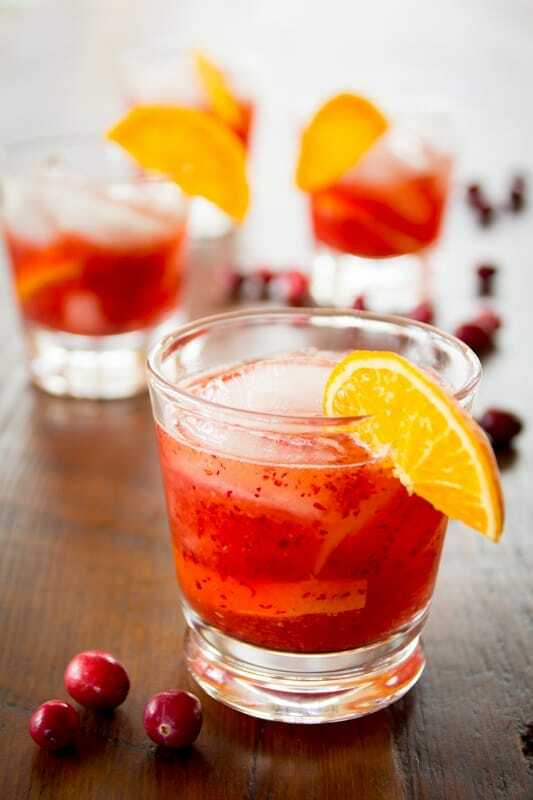 Mix cranberry mixture with vermouth, gin and Campari. Pour over ice. Garnish with the sliced tangerine. 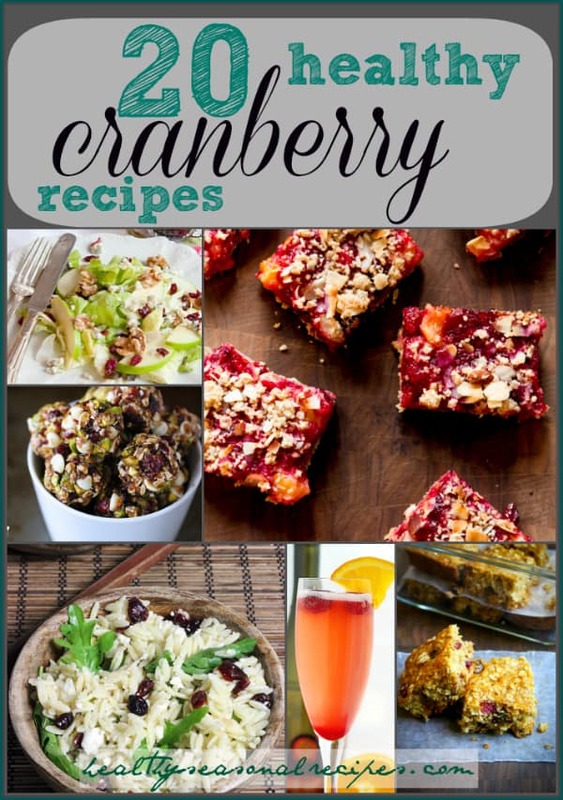 Need more cranberry? How about 20 more ideas? Click the image below to be inspired. Or visit the Holiday Collection! Don’t shoot me but I’ve never had a Negroni! 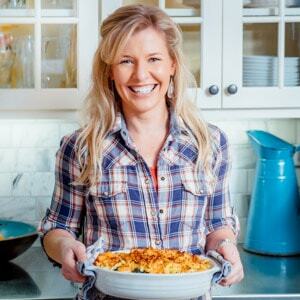 Now that I have your recipe, I’ll have to give them a try over the holidays. Shoot you? No, but I may have to have you over for one soon! My wife loves Campari. I’m thinking of surprising her with this drink. I’m sure she’ll love it. Thanks for the recipe. I simply don’t believe you are seriously asking, since I am constantly trying to figure out how YOU make your photos so beautiful. The one thing I will say is that I usually use a scrim but I didn’t for this one since I took it in our dining room, and we have windows everywhere in there. I think the resulting high-key light is a happy accident. 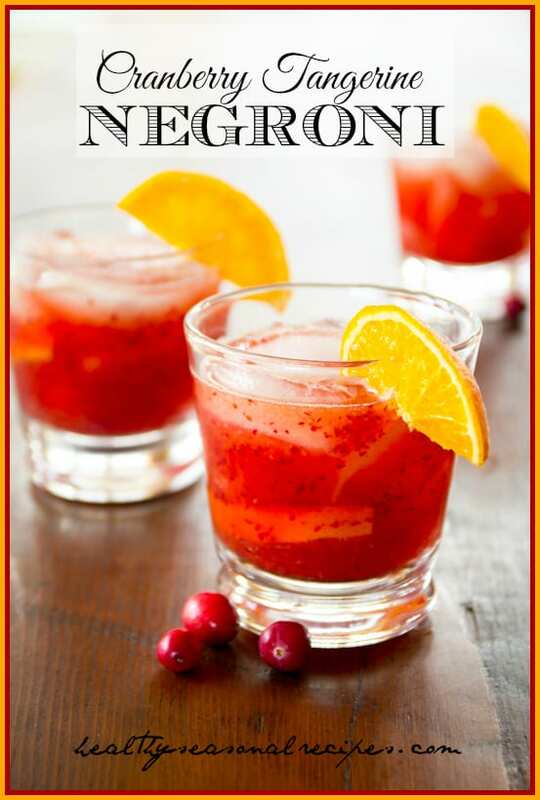 Oh my goodness, I love negronis, and this one has such a wonderful twist to it!